According to Education without Barriers (EWB)’s Constitution, the Board of Directors (“the Board”) shall be its highest authority. Being appointed by the Board, Secretaries of American Chapter, Hong Kong Chapter, and India Chapter shall exercise on the Board’s behalf the power to govern EWB’s relevant functioning Divisions and their Heads in that Chapter, respectively. Steering Committee shall represent the Cofounders, Volunteers, Donators and other stakeholders’ interests in exercising its power to supervise the Board’s behaviors and Advisors shall help the Board shape its decisions. Dan Li graduated from Harvard College with a B.A. with High Honors in Chemical and Physical Biology and a minor in Mathematical Sciences in 2015. She is currently a second year MD/PhD candidate at Yale School of Medicine. Recipient of the Gates Millennium Scholarship, Dan received a full-ride through her undergraduate and graduate studies. She was selected as the Reed Young Scholars in 2010 and graduated as the valedictorian. During high school and college, Dan conducted biomedical researches in Howard Hughes Medical Institute, Memorial Sloan Kettering Cancer Institute, Dana Farber Cancer Institute, The Boston Children’s Hospital, and University of Texas, Southwestern. She published six high-impacting academic research articles during undergraduate, and part of her research results have been devoted into clinical practices. She received the Thomas Temple Hoopes Prize from Harvard College for her thesis research project in “Understanding the Structural and Functional Domains of BCL11A.” She served on board for Harvard China Care, Harvard Square Homeless Shelter, First Church Homeless Shelter, Harvard Square Summer Shelter, Boy Scouts of America, Project Swim for Autism Children, Harvard College Premedical Society, and Asian University for Women. Dan served in medical and educational humanitarian projects in Panama, Uganda, and China. She is currently serving for Yale-China Association and volunteers at Doctors without Borders. Julie is the co-founder of “Education Without Borders” and the president of the Hong Kong Chapter. She is mainly responsible for administering human resources and planning ahead for future events. She is a Year Three student studying Language & Communications and Finance at the University of Hong Kong (HKU). She was an intern at the prestigious company Deloitte Touche Tohmatsu. In 2017, she participated in a government-run national competition in Dali, Yunnan, leading a team from HKU. Named “Dali, GO!”, the contest required students to draft creative development strategies, Julie and her team obtained a Second Class Honours award for their 30,000-word report. At a competition organised by Tsinghua University, which focuses on city development, Julie was the captain and her team won a First Class Honours prize. Another noteworthy event is a mock diplomacy advocate session held by the Office of the Commissioner of the Ministry of Foreign Affairs of the People's Republic Of China in the Hong Kong Special Administrative Region. Julie was awarded with “Best Speaker” for her convincing statement. When she represented HKU at the the HULT PRIZE Hong Kong region competition, Julie brought home a Second Class Honours award. Lastly, the most inspiring experience Julie had was an internship experience at the Philippines headquarters of Conversation International (CI), a non-governmental organisation. During her stay, she led her group in writing a Conversation Proposal, facilitating communications between different CI departments in Southeast Asia, including Singapore, Thailand, etc. After this experience, Julie realised one of her biggest goals in life. With the aid of online platforms, Julie strives to redirect learning resources across the globe and accumulate the zeal of volunteers, to improve education quality and increase learning opportunities for children living in deprived and impoverished conditions. In a nutshell, Julie dreams to use the power of education to change the world and make it a better place. Jeff Chiu graduated from Renmin University of China with a LL.B. in Law and International Politics. He is currently working in Renmin Future Rule of Law Research Institute with a research focus on social responsibilities and social governance, and will soon join the China Program of Harvard Law School Project on Disability as a research assistant. During college, Jeff received a full-ride to exchange and study International Human Rights and Politics at Yale University for a summer. He further received two scholarships for being selected as the youngest-ever trainee to work at the Research Division of the European Court of Human Rights in Strasbourg, France, two national scholarships for his academic performance in Law School and in School of International Studies, a scholarship for representing Renmin in attending Oxford MUN Conference, and an honorary title of Merit Student for his all-round development of morality, intelligence, and physique. He served in various pro bono and educational projects in the U.S., Taiwan, Sri Lanke, and China, and has been awarded an honorary citizenship of the town of Addison, Texas. With eight-year learning experience, he has also won several prizes in different art competitions and participated in a few exhibitions. His interests extended beyond fine arts to disability studies and human rights law. Yunzhi Feng is currently a sophomore student in Hong Kong University of Science and Technology majoring in Quantitative Finance. During university, she received University Scholarship and Hong Kong Government Scholarship. As the executive team member of volunteer association in high school, she organized and served in 5 volunteer service projects in Sichuan, and during college, volunteered in Nepal for two weeks and served as regular volunteer in Hong Kong for one year. She has served in various extracurricular activities and organizations, like Student Association of Corporations, Mainland Scholars and Student Society, Micro-distance International Youth Forum, Alumni-student Shuffle, Guinness World Record Breaking Organizing Team. Passionate about finance and investment, she was the finalist in Fidelity Student Innovation Challenge 2018 and has internship experiences in private equity, corporate finance, financial advisory and marketing. Mingqi is co-founder of Education Without Barriers and the director of EWB American Chapter, where she works across fundraising, branding and strategy-related projects. 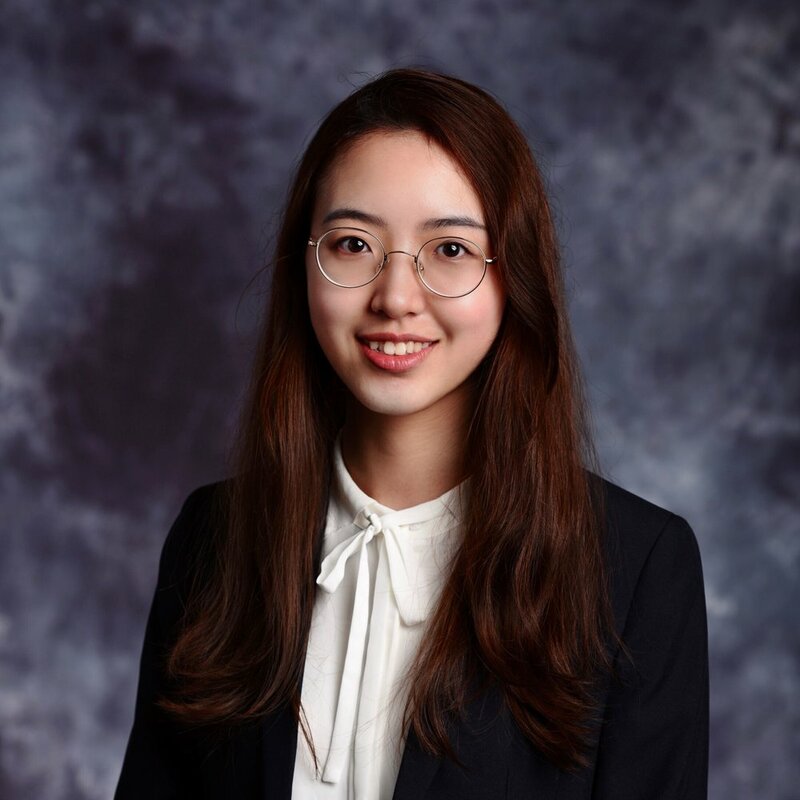 Mingqi is a first-year MPA student in Columbia University and Communication Chair of Asia Pacific Affairs Council.She studied Economics in Communication University of China and was honored as “Beijing Outstanding Undergraduate”. As the UNGC Compliance Officer of Egyliere Travel, she finished a highly-appreciated annual report and offered three trainings for staff in SDGs. Mingqi accumulated rich experience in policy research and empowering social enterprise. While worked in China Philanthropy Research Institute, her proposal on foster care policy was adopted by Beijing Civil Affairs Bureau. In Sep 2017, Mingqi joined the Center for China and Globalization. During the internship, Mingqi finalized 15 policy report, memo, and analysis themed on global talent circulation, migration, and international school market. She provided policy consultation for Beijing Chaoyang District government, Sichuan, and Guangdong Provincial government. Mingqi also independently finished 2017 U.S Immigration Report, which is filed in 2017 Global Talent Blue Book. She is destined to exploring effective pathways to empower disadvantaged children, connecting policymaker, civil society and the beneficiaries, and give them the capability of living a happiness life. Jasmine Chen, Cofounder of Education Without Barriers, is responsible for preparing and structuring of American Chapter. 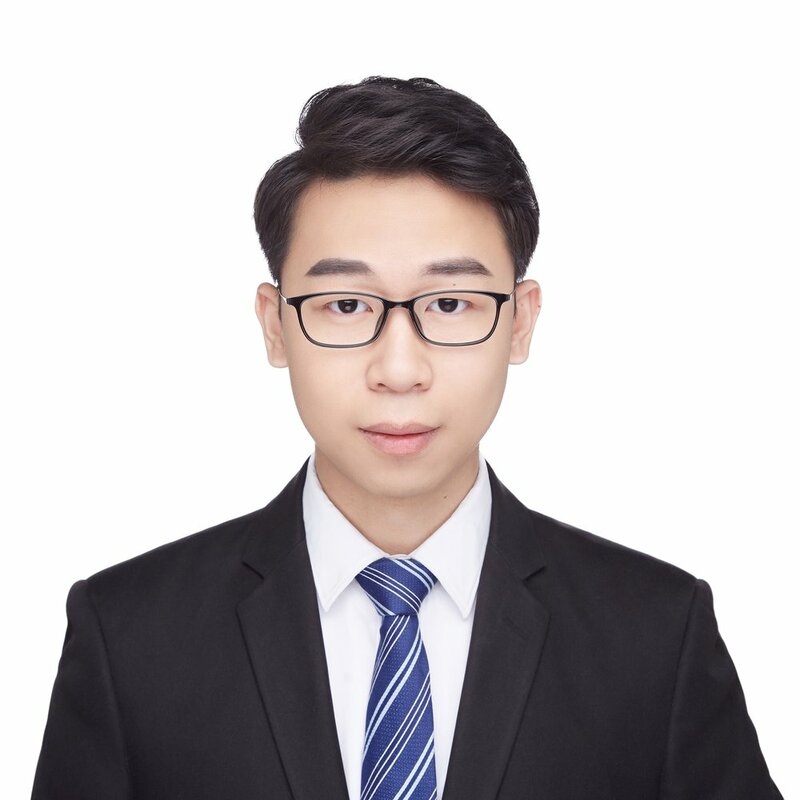 During the undergraduate period in China University of Mining and Technology, she participated in Digital Architecture Design and Computer Design postgraduate research group and targeted her research on data analysis in AI application in architecture. As keynote speaker, she published a speech to raise public awareness on education innovation, empowerment, and combination between charity and education. She also played the role of teaching assistant in Harvard Summit for Youth Leader in China and assisted in organizing more than 10 series of activities such as opening and closing ceremonies, guest speeches, road shows, etc. Each event has a scale of more than 500 people. She guided 7 high school students from three different countries to complete a research paper targeting the educational resources gap amongst Chinese orphans and won the second place among 2000, she was happy for everything she did as an academic coach in China Thinks Big Competition. The summer of 2018, she applied for Summer School in the Goethe University of Frankfurt and started her new learning in Psychology and Organizational Behavior courses. During the four years undergraduate life, she won lots of honors, like the Global Management Challenge Third Prize of national competition in China, Third Prize in Electrical Engineering Contemporary Undergraduate Mathematical Contest in Modeling, Second place in Jiangsu Provincial Graduate Academic Innovation Forum and National Third Prize of National Securities Investment Simulation Competition. Hellen Gong is currently a senior student in Dalian Maritime University, majoring in English. She co-directed the 2016 TEDxDMU event and acted as a teaching fellow in the 2017 Harvard Summit for Young Leaders in China. As a reader of Muxin, she has worked as a volunteer in the Muxin Art Museum for two months. She would like to constantly explore a better mode in online cooperation and education, to provide tailored curricula to more children in need.